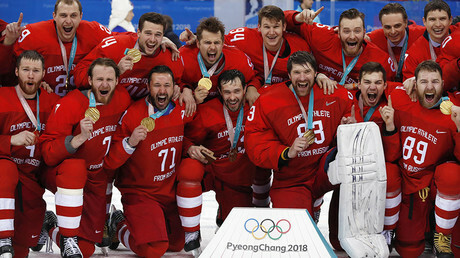 The International Olympic Committee (IOC) will not sanction the gold medal-winning Olympic Athlete of Russia (OAR) ice hockey players, who controversially sang Russia’s national anthem during their medal awards ceremony. IOC said they accept that the athletes were over-excited by their nail-biting 4-3 overtime final victory over Germany, which carried over to the medal presentation on Sunday. "We understand that this was over excitement by the athletes who had just won a gold medal in extraordinary circumstances," the IOC said in a statement, the VOA reported, citing AP news agency. The Germans, who had previously eliminated Sweden and Canada from the gold medal contention came close to creating one more sensation at the Games, when they hammered in a third into the Russian net, making the score 3-2 with just three minutes remaining in the game. Germany’s chances to clinch their first-ever Olympic ice hockey gold substantially increased after OAR defender (and former New Jersey Devils player) Sergey Kalinin was sent to the penalty box for a tripping foul. However, the Russian players managed to save their chances, when Nikita Gusev scored a short-handed goal for OAR sending the game into an extra period. In the overtime four-on-four format, OAR capitalized on a one-man advantage after German forward Patrick Reimer received a two-minute penalty for high-sticking. 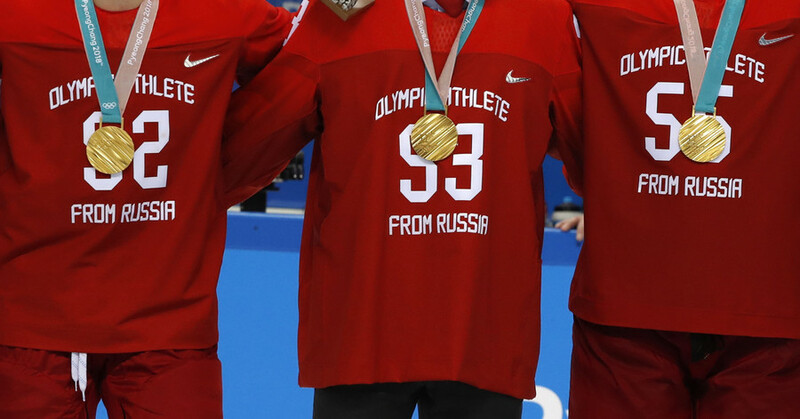 Twenty-year-old forward Kirill Kaprizov then fired the puck into the German net, bringing his team the first Olympic victory since the 1992 Albertville games, where Russian players also performed under a neutral flag. OAR athletes were obliged to compete as neutrals in PyeongChang, observing the IOC ruling to suspend the Russian Olympic Committee (ROC) as the result of the investigation into the country's alleged state-sponsored doping. The Olympic governing body also banned all Russian national emblems, including the flag and coat of arms, obliging the athletes to compete in a neutral uniform exhibiting no indication of their nationality. OAR members were also prohibited from accepting the national flag from the crowd, showing national symbols on social media, and singing the national anthem inside an Olympic venue. 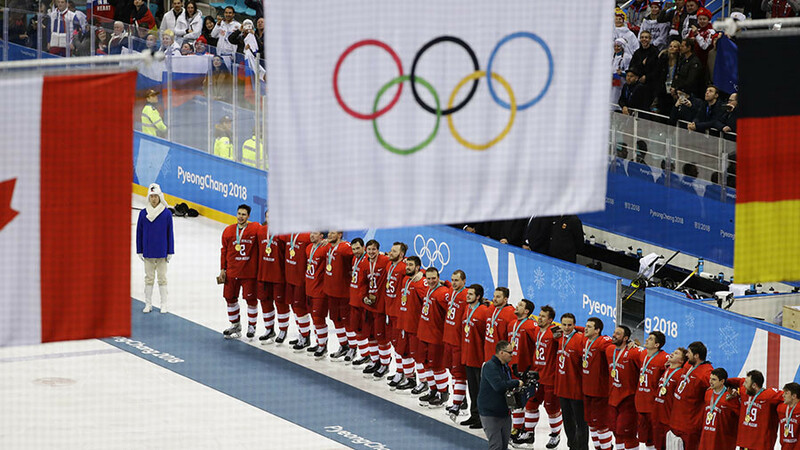 The victorious Russian ice hockey players defied the IOC rule on Sunday by singing the banned anthem along with a jubilant crowd, while the Olympic flag was being raised to honor the OAR victory. 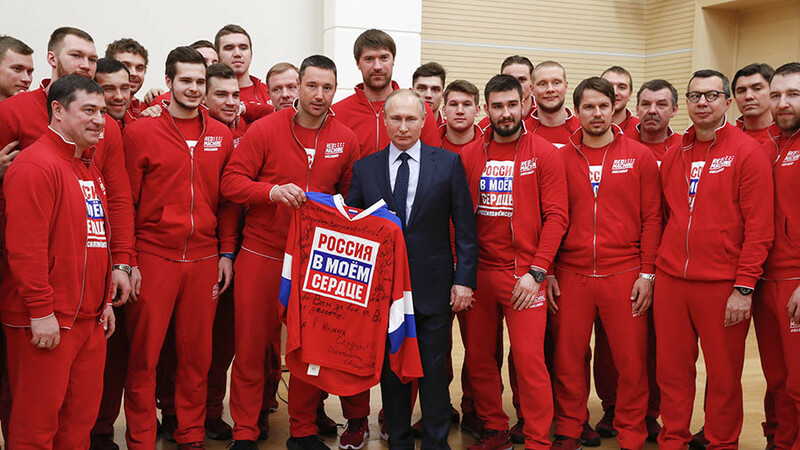 Ilya Kovalchuk, who was named MVP of the hockey tournament, said the players had planned to sing the Russian anthem to celebrate the country’s triumph. “We knew we would sing the anthem in case of victory. It means a lot to us. We haven’t won the Olympics since 1992,” Kovalchuk said. It was the second gold medal for the OAR team, which won a total of 17 medals at the PyeongChang games: two gold, six silver and nine bronze. Russian athletes had to sign document agreeing not to display any national symbols or protest the restrictions.